If you're an emotional overeater, you may turn to food to cope with stress and sadness, enhance joy, and bring a sense of comfort. But, over time, overeating can cause weight gain, heart disease, diabetes, and many other health problems. In 50 More Ways to Soothe Yourself Without Food, you'll find fifty more mindful and healthy activities to help you replace your need to overeat. 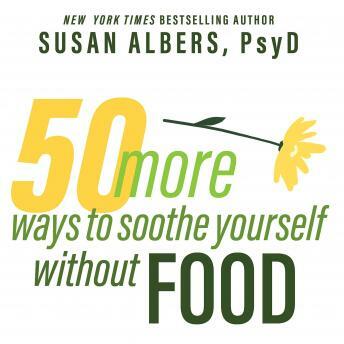 Based in popular mindfulness practices, this book will show you how to slow down and be present during mealtime so that you end up making healthier choices. In addition, the activities in the book-such as yoga, aromatherapy, and breathing exercises-will help you gain a greater overall sense of well-being and appreciation for your body.